What Are the Signs of Water Damage in Your Bathroom? Is water coming up through your bathroom floor? Are you wondering how to keep water from leaking outside your shower curtain? These issues are early signs of water damage in your bathroom and can lead to health risks and threaten the structural integrity of your home. In some cases, the signs are not obvious and are subtler such as feeling soft spots on the bathroom floor. 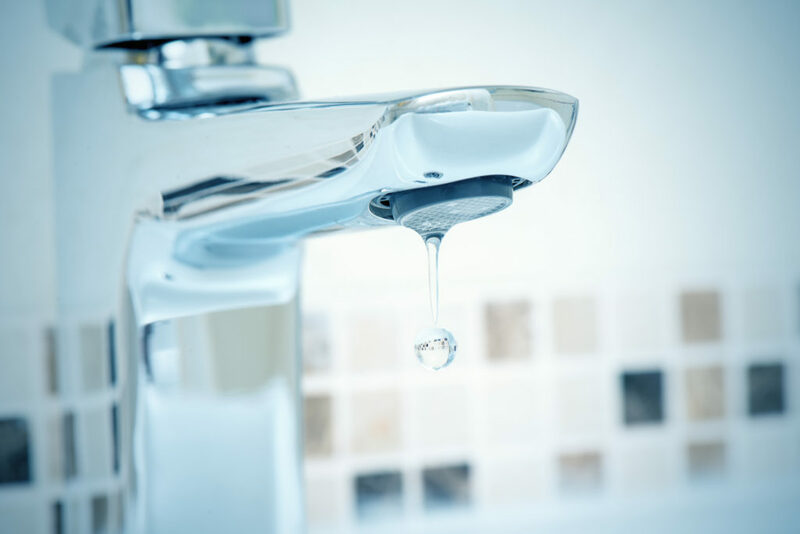 Water damage in your bathroom floor or walls should be dealt with as soon as possible, but before you call the professionals, here are some common signs of a water leak. If you notice a persistent damp smell in your bathroom, it should raise a red flag, especially after you have done a thorough cleaning. This musty smell is likely moisture that has built up and caused the growth of mould behind the surface. Water under the tile floors in your bathroom can cause excessive moisture that never seems to fully dry. If you are unable to eliminate the source of the musty smell, it can develop into serious water damage. In a case like this, contact your local water damage restoration team to locate and solve the problem quickly. If mould and mildew are growing on your bathroom walls or spreading to the ceiling, it may be too late for preventative measures. This growth of mould begins from the inside and spreads out, so once it is visible you can only seek to eliminate it. Once your local professional deals with the leak, they can properly remove and clean the mould to prevent serious dangers to your health. Another clear sign that you have an extensive water damage problem in your bathroom is that of swollen, soft paint and wallpaper. The damaged area will crumble, especially around the baseboards, over time. If you notice bumpy or uneven wallpaper or paint, have it checked out by the professionals. Bathroom floors are designed to be nonporous so water can cover them without causing damage. However, persistent water all over the bathroom floor can seep under and cause cracking, buckling, or staining. If any of these signs appear on your bathroom floor, you should seek immediate help. Most times the subfloor of the bathroom is made of plywood, which can rot when exposed to moisture. This makes the floor feel spongy and soft. Damaged walls are another sign of water damage in your bathroom. They can come in the form of crumbling plaster or blistering paint. If water is dripping behind your bathroom walls, there may be a leaking pipe. When drywall absorbs this water, it begins to swell and soften, feeling damp to the touch. It takes a while before the drywall changes this way, so if you notice this happening in your bathroom, the problem may already be too late to prevent. Calling a professional water damage restoration team is your best bet to remedy the situation. Another classic giveaway of leakage in an upstairs bathroom is a ceiling stain. This water leaks down to soak the ceiling of the room below, causing a yellowish-brown stain. Check your plumbing: Test your toilet valves, shower, and sink to make sure they are working properly. Check the faucet supply lines and replace cracked caulking along sinks, tubs, and showers. Don’t overwork your toilet: Prevent your toilet from clogging by using septic-safe toilet paper, throwing diapers and napkins in the garbage, and making sure the toilet level is not low (it may be a sign of a partial clog or toilet bowl crack). Maintain your baths and showers: Replace showers and bathtubs if they have cracks; repair grout and caulk to prevent water from seeping into walls and floors; replace torn shower curtains or doors that do not work; hang wet towels; open the window to circulate air; and keep the floor dry by wiping down the floor and shower walls after every shower or bath. Dealing with mould, leaks, and damaged walls or floors in your bathroom can be frustrating. Depending on the level of damage, you could be paying several hundred dollars to have the bathroom fixed. Therefore, it’s important to inspect and check your bathroom regularly for leaks to catch any issues early on. If this wasn’t the case and your bathroom floor is leaking water, it’s time to call the professionals. If you need assistance for water damage cleanup in the Greater Toronto Area, or if you want advice for how you can prevent it from happening to your property, Flood Services Canada can help you. Our professionals can provide you with solutions, and we can help you settle with your insurance company. We deploy our quick-response teams across Toronto, Oakville, Ajax, Whitby, Georgina, Barrie, Mississauga, and Lakeshore to help homeowners in a tough situation. We’re ready to provide 24/7 sewage, water damage, and food cleanup services and will use the best techniques, personnel, and technology to ensure your home or business is clean, safe, and dry as soon as possible. Contact us at (416) 302-2107 to learn more about preventative measures and our cleanup services or use our emergency hotline at (416) 999-3930 to get our rapid-response teams deployed to your location.